Trailhead Development, on the western outskirts of central Boulder, is the most exciting real estate development to land in Boulder in years. After more than a year of discussions with neighbors and community leaders, it’s finally for sale, and the lots are being sold at lightning speed. 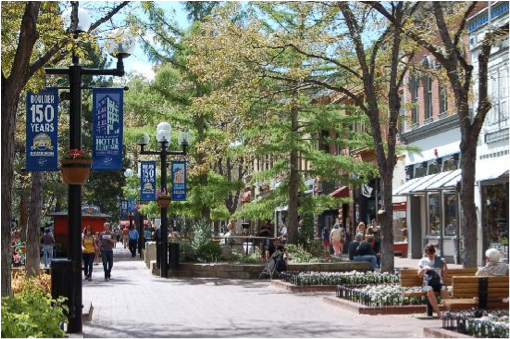 Prices are competitive, and the location is prime; this will certainly be the hottest piece of Boulder realty this season. There are 23 lots in the development, with prices mostly falling between $500,000 and $1,000,000. Trailhead is close to downtown, allowing homeowners to walk or bike virtually everywhere they need to go. With Mt. Sanitas within walking distance, homeowners will be able to hike some magnificent trails whenever they please. With such appealing perks, these lots won’t be on the market for long. Currently, most of the lots are still available, but it’s safe to say that they will be going faster than properties for sale in Boulder. Of the 23 lots, two are currently under contract, and one has been reserved for the developer. This leaves 20 lots on the market, ranging in price from between $525,000 and $1,780,000. Let me reassure you, these lots are worth the cost. Realty this demanding hasn’t been seen in years, and you don’t want to miss out. If you’re looking to retire in the bucolic mountainsides of Boulder, or are eager to raise your family in one of the most beautiful cities in America, this development simply cannot, and should not, be looked over. I’ve got the inside scoop; I know exactly what these homes will provide aesthetically, financially, and emotionally. This lot, located at 2605 4th St., will be impressive enough to buy in a heartbeat. At 4,189 finished square feet, and two stories, it will certainly be spacious. Four bedrooms, five bathrooms, and a 2-car garage will be perfect for a big family, or for those planning on expanding their family. The architectural style that Surround Architecture have envisioned for this home combines natural stone, steel, and wood, creating an elegant and modern, mountain chic home. Cedar shingle siding, blue steel rain screen accents, timber porch columns, and a full depth stone exterior will give this home its modern, yet rustic allure. The stone patios – one complete with a gas log fireplace – will provide ample space for romantic evenings, garden parties, or even marshmallow roasting with the family. Surround Architecture masterfully designed the interior of this home to match the beauty of Boulder’s pristine surroundings. Custom designed cabinets and built-ins provide stylish storage, while the dual sided gas fireplace and white oak floors emulate Boulder’s outdoorsy elegance. An in-floor radiant heating system will offer comfortable heat for Boulder’s winters. Each of the upper-level bedrooms are paired with full en suite baths, and the spacious master suite is accompanied by a 5-piece bath. There’s even a skylight in the master closet. Now, this wouldn’t be a true Boulder dwelling unless it was as efficient as can be – and it certainly is. A high efficiency modulating and condensing boiler with sidearm hot water provides heat for the home, and is 96% efficient. The multi-spit, forced air conditioning system is also high efficiency, so you won’t need to worry about wasting energy during Boulder’s hot summers. Overall, the home meets and even exceeds the Boulder Green Points Standards, and has achieved a HERS energy rating of 56, which is equivalent to a 5-star plus rating. 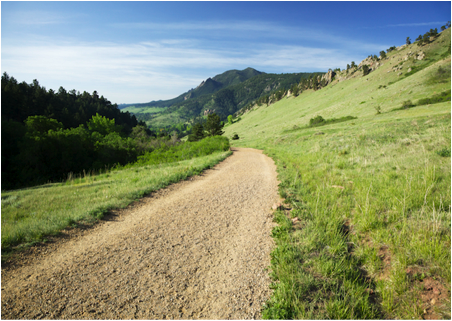 Trailhead has it all; quick, easy, access to hiking trails as well as downtown Boulder, idyllic homes, and an ultimate location. 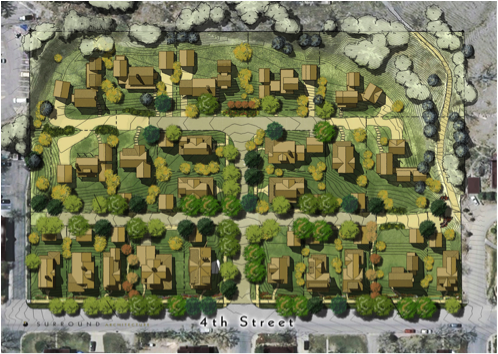 Homeowners will finally be able to say they live in Mapleton Hill – who in Boulder hasn’t been dying to live there? Its prime location is not something to pass up; if you’re in the market for a home, come have a look before it’s too late. Listed with RE/MAX of Boulder, Inc.